Is this practical? No. But screw practical. Like we saw with Half-Life, trying to play a video game on a watch is futile. The touchscreen controls used by the emulator are just too damn small. But it’s the drive that we appreciate. 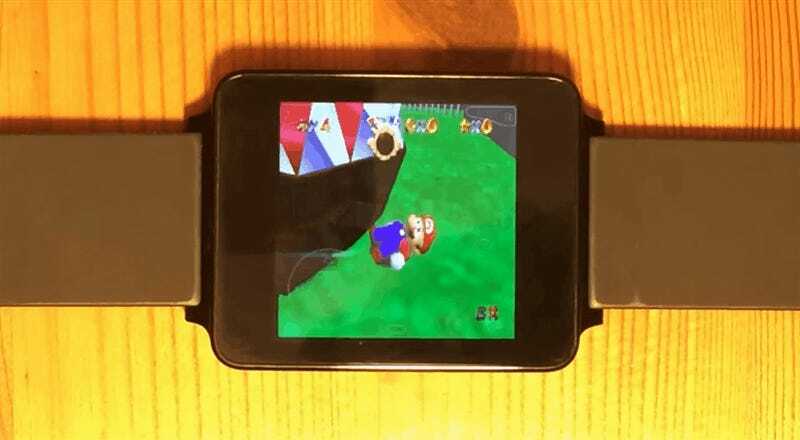 If an “old” LG G Watch can run N64 games, then who knows, one day soon we might be marvelling at unplayable versions of GameCube games on smartwatches. All that said...anyone know if you can get a Bluetooth controller working with Android Wear? That’d make things more manageable, in a “this is an absolute last resort emergency game playing device” kind of way.